Daily Billboard recently took a trip to Vancouver, but was a bit dismayed to discover the lack of billboard ads compared to their sheer abundance in L.A. and New York. 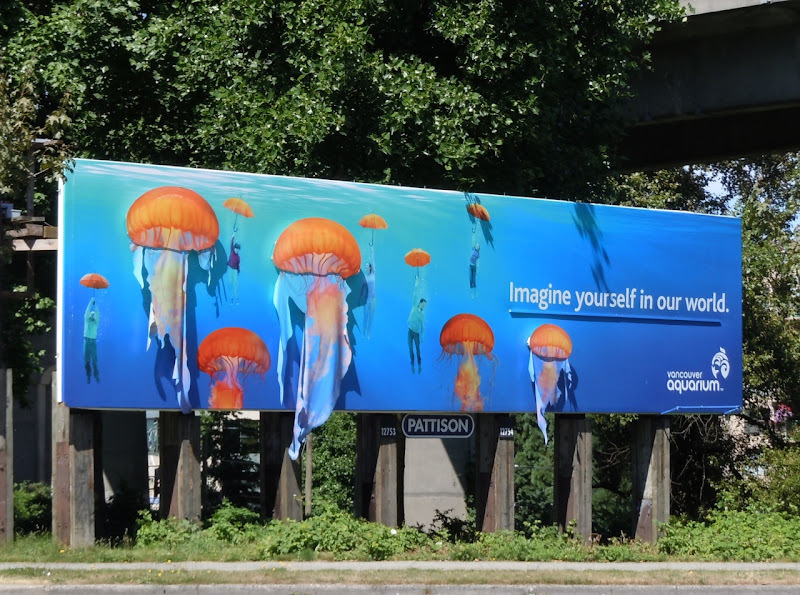 However, of the few billboards scattered about the Canadian city this colourful creative for the Vancouver Aquarium stood out, especially with its 3D mounted jellyfish providing some extra visual interest. 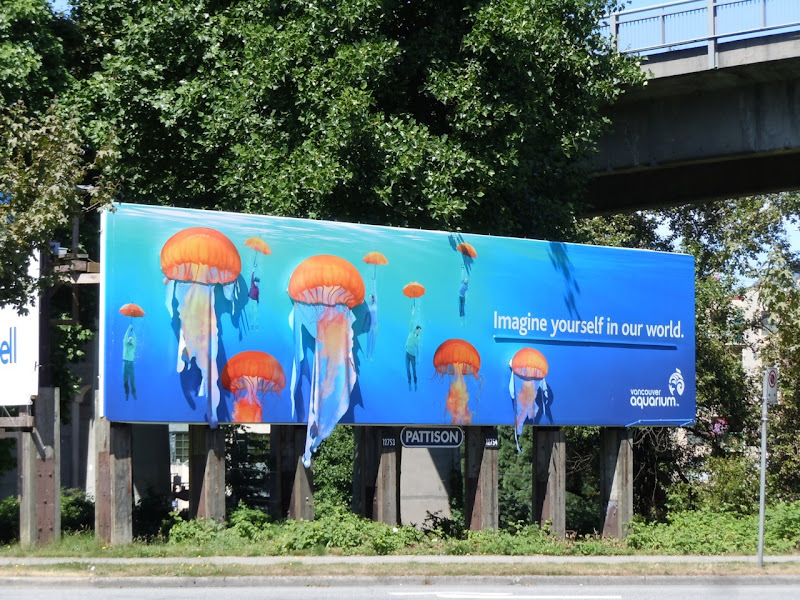 This tourist attraction billboard was snapped near Granville Bridge in Vancouver, British Columbia on August 1, 2011.